Indirect liquid heating fluid intubated resistances are manufactured with highly innovative production solutions, ranging from high-quality materials from the world’s best markets, making it possible to create a heater that meets the highest standards of reliability. They are designed for various industrial applications in the indirect heating of gaseous fluids in a safe area. This type of heaters guarantees optimum performance and efficiency in maintaining fluid fluids (water, oil, glycol and other basic, acidic and corrosive solutions at a given concentration) whenever the specificity of the fluid does not allow direct heating, a reason for the which is heated indirectly for heat exchange on the metal mass of the tubular shirt inside which the resistance is placed. Typically, working within confined spaces within a cloak, skin resistance temperatures reach remarkable levels, so superficial power density is kept fairly small (max 1 W / cm²). The internal heat is transmitted optimally to the wall of the shirt ensuring a homogeneous and optimal heat exchange with the external fluid to be heated. 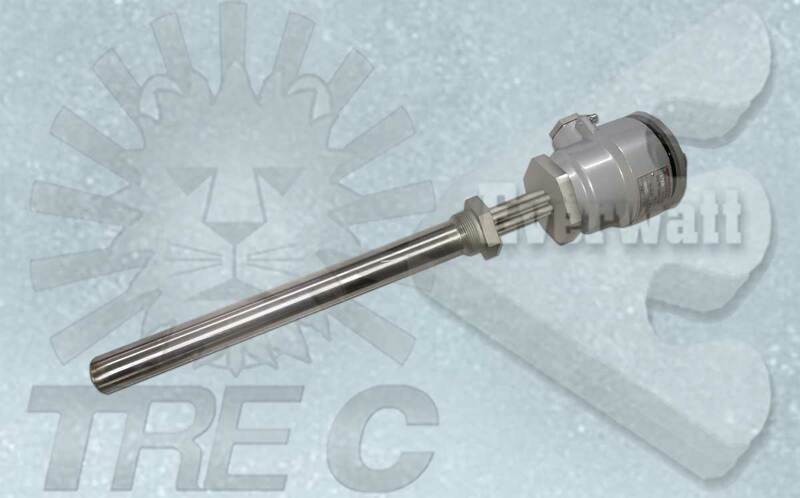 The specific design of this type of liquid intubated resistance also allows easy extraction of the heating beam for the replacement or maintenance of the system. Designed to work even in extreme conditions in the presence of an explosive atmosphere, this type of electric heaters intubated in a mantle guarantee optimal thermal exchange, even in very compact dimensions. The use of high-quality materials within our production cycle allows the intubated armored electric resistors of our production to reach high operating temperatures and a medium to long-term operating life. The entire production cycle of liquid-heated intubated resistors is subjected to the most rigid dimensional and electrical tests in accordance with our ISO 9001: 2008 certified Quality Management System and in full compliance with the requirements of CEI / EN . They can be equipped with threaded and / or flanged connections of any type, DIN, ANSI, or any other standard, but also custom size custom flanges. The fluid flange intubated heater consists of a stainless steel shirt inside of which a resistance having a heating pipe bundle consisting of one or more elements is inserted. The same can also be built with built-in thermocouple or thermostat with overheating skin with fixed cut-out. Furthermore, they can also be constructed with cold sections at the ends or with differentiated power sections and with 2-3 separate power circuits; this finishing is especially used in the construction of intubated resistances of more than 500 mm in length. 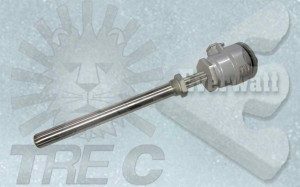 The entire production cycle of intubated heaters for indirect immersion heating is subjected to the most rigid dimensional and electrical tests in accordance with our ISO 9001: 2008 certified quality management system and in full compliance with the requirements of current CEI / EN and, where required, PED97 / 9 / EC. This type of heaters consists of a tube bundle formed by one or more electric heating elements of varying diameters having electrical contact perpendicular to outlet or with 90 degree power supply, which is welded to TIG on threaded connections NPT, GAS, Gk 1 “to 2” and 1/2 “or flanges of different sizes according to UNI / DIN, ANSI, JSC standard or unaltered flanges of variable size according to customer’s specifications, depending on working pressure and working temperature . The part of the electrical wiring is housed inside the heads of standard and waterproof polycarbonate headings, die-cast aluminum, carbon steel, or stainless steel 304 and 316 with IP55 / IP65 / IP66 / IP67 protection rating. Equipped with accurate thermoregulators (fixed thermostats with thermocouples and / or thermocouples “J” or “K”), which are suitable for protecting the heater from overheating and premature damage, have a the head of the electrical connections having properly dimensioned power inputs (typically Gas step) depending on the specific requirements of the customer, depending on the number of installed elements as well as the power and amperage that determines the power supply section. The surface load (W / cm2) of these types of electric resistances intubated for liquids is appropriately determined, from time to time, depending on the conditions of use and the type of fluid to be heated; In addition to these factors, the maximum working temperature and working environment are also variable, which directly influences the choice of the type of sheath material with which to construct the tube bundle of these heaters (Stainless Steel AISI304, AISI 321, AISI 316L , Incoloy800. 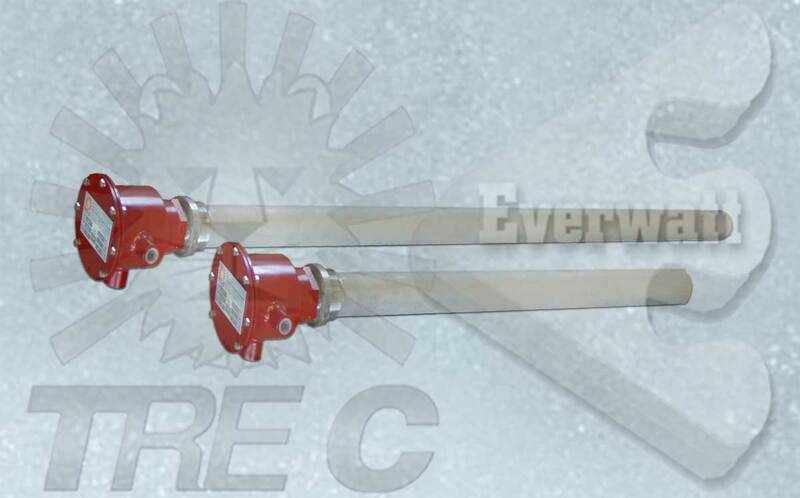 This special type of heaters is particularly suitable for all applications, especially on board machines or continuous cycle systems that have high plant shutdown costs.